There was some significant hand-wringing regarding the massive personnel shift within Seattle once Vlatko Andonovski took over as head coach, but it looks like (at least on the field) the future is bright for the Reign. The Megan Rapinoe renaissance continued on Saturday. She notched a massive free kick goal in just the 7th minute, curling the ball in from distance, and she spent most of the evening making Washington right back Taylor Smith’s life very difficult. But while impressive play from Rapinoe is old hat for Seattle fans, the way the midfield of Allie Long, Jess Fishlock, and Bev Yanez melded together to create a sense of relentless pressure as a team is perhaps something to be even more excited about. The NWSL is famously a league that relies (maybe overly) on physical play, and sometimes teams struggle with formational identity, and Seattle looked locked in right from kickoff. This also allowed Jodie Taylor to open her goal-scoring account with the Reign, which served as a fun announcement of the return of a dynamic striker to the league. It’s going to be unlikely that they’ll be on the outside looking in at the post-season this year, and last year’s top 4 should be put on notice from here on out. Another thing that many anticipated going into weekend one was the impact (or lack thereof) of key members to most squads being out due to either injury or international duty. This was going to put pressure on certain veteran players to step up for their squads, as well as on coaches to make tactical adjustments to allow for discrepancies in their rosters. The teams that were able to do that well shone on Saturday and Sunday, and some teams really struggled with that responsibility. North Carolina did a continuously impressive job keeping their midfield humming despite the absence of long-time motor Sam Mewis, and kept Portland from ever having a chance of getting many shots on goal throughout the match. 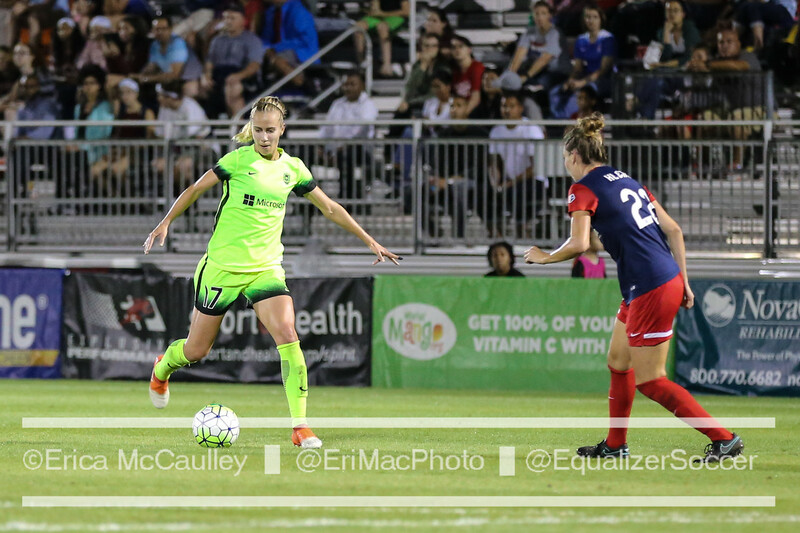 To their credit, despite falling 1-0 Emily Sonnett did a good job of providing the same backbone of support that led the Thorns to the championship last year despite missing her center-back partner Emily Menges. 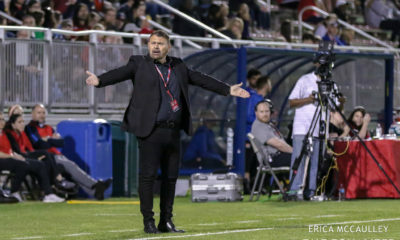 However, Portland’s roster shakeup over the offseason (and the absences of Menges, Hayley Raso, Tobin Heath, and new additions Andressinha and Ellie Carpenter) put an intense amount of pressure on Christine Sinclair to produce on Saturday, and she struggled without the support she’s accustomed to. 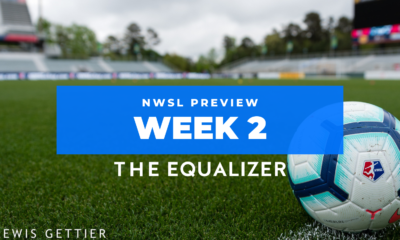 The Houston Dash also came out on Sunday with an impressive formational strategy, with the weakness of their roster being less due to absences than a continuous roster re-evaluation throughout the off-season. They played like a team that knew their strengths and weaknesses, and both Rachel Daly and Kristie Mewis did their part to influence play and raise the standard of their teammates. 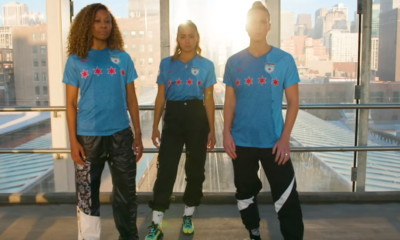 On the other side, a Chicago roster that’s been shredded by injury and international duty played like they were much greener than anticipated, and veterans like Sofia Huerta, Arin Gilliland, and Danny Colaprico struggled to create cohesion with players like Julie Ertz, Sam Kerr, Vanessa Dibernardo, and Casey Short missing. These are going to be issues facing every squad for the next few weeks (keep an eye on Orlando without their Brazilians this upcoming weekend), and will force teams to play smarter rather than relying purely on talent and speed. It’s the teams that use the opportunity to improve that are going to find themselves in good shape after the first few weeks of the season. I won’t be the first or the last person here at EQZ to bring up frustrations with officiating in the NWSL, but it’s still disappointing that one of the bigger stories coming out of opening weekend was the questionable penalty call against Becky Sauerbrunn that allowed Orlando to equalize on Saturday. As the ball came into the box, Dani Weatherholt pretty squarely hit Sauerbrunn in the face at close range rather than the arm, and while moving quickly one could understand how official Danielle Chesky could have an odd angle on the play. But she should’ve been corrected by one of her assistant referee’s after making the call, and it certainly didn’t warrant a yellow card to Sauerbrunn after the fact. 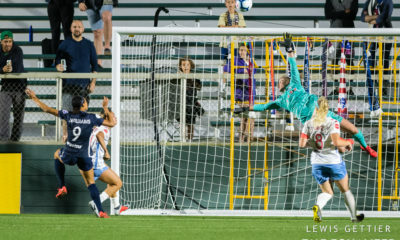 This was also the same match where Alex Morgan had to leave the field for concussion protocol on a collision with Royals keeper Abby Smith that never needed to occur considering Morgan was clearly offside for a few strides before the AR raised the flag to stop play. While referees are human and the league is quite a bit away from incorporating technology like VAR, it seems like 2018 has carried on the tradition of officiating inserting itself into the narrative of matches, in a way that will become more and more detrimental as the season goes on and the stakes get higher. As each team in the NWSL has been actively striving to raise the standard of play and conditions both on and off the field, PRO Referees should be held accountable to do the same. Here’s hoping this doesn’t become one of the long-term stories as the season continues.